Bangka Island offers many types of beauty. Do you want a reference? Well, there is Pangkal Pinang City. 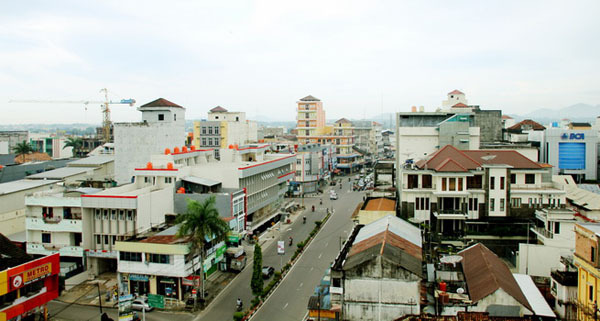 It is the capital of Bangka Belitung Province. The best thing is its setting. The city is situated in a strategic geographic location. Also, it becomes a symbol of nation’s independence struggle. The government has built several historical sites in this city. These include Tamansari or Merdeka Monument. Not to mention you can find some beautiful tourist lures in Pangkal Pinang. Overall, it is a worthy place to visit. In a nutshell, Pangkal Pinang City is rich in history. Unfortunately, not many foreign tourists come here. The government is trying to introduce the city to more people, though. Apart from tourism, the city is famous for its natural resources. These include coconuts, rubber, and pepper. You can also find sago plants. Do you love fruits? Well, there are several types of fruits as well like durian, banana, and pineapple. In some parts of the city, you can find duku. When it comes to tourism, there are some recommended spots. Taman Sari is the best spot. It is the home of Merdeka Monument. The location is in Sudirman Street. This is definitely your best spot to explore. Many facilities are available such as a performance stage, tennis court, playground, and much more. If you want to enjoy a unique attraction, some locals often play Gasing in this park. Once you enjoy these attractions, you should try traditional snacks. In Taman Sari, there are numerous food vendors. Enjoy! The next attraction in Pangkal Pinang City is Tin Museum. As the name implies, it is the home of tin products. The location is in Ahmad Yani Street. It is near to the main city, so you can reach it easily. It is open for public. You can learn a history of Bangka Belitung’s tin mining. These include the Dutch’s invasion era and modern tin mining. Even though Tin Museum is not everyone’s favorite, this place is worth a visit. Another famous tourist spot in Pangkal Pinang City is Pasir Padi Beach. As the name suggests, it features beautiful white sand. The beach becomes a popular tourist spot due to its mesmerizing shorelines and enchanting sea water. During weekends, you may expect many visitors here. The distance is about 7 km from the main city. The water is calm so it is safe for swimming. The sand’s texture is dense. That means you can drive a vehicle on it. This is definitely a great spot to visit. If you come from Jakarta, you should take a ferry to Bangka Island. The checkpoint is Belinyu Port. From here, you can take a car or public transportation. The destination is Pangkal Pinang City. It is through Yos Sudarso and Sudirman Street. One thing, you are going to have a long trip. Make sure you have a good stamina. Some refreshments are a good idea. These include bottled water and drinks.